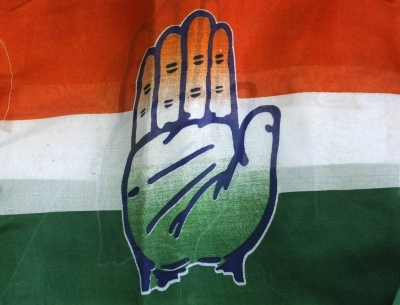 Dehradun, April 22 (IANS) After the arrest of Uttarakhand Congress General Secretary Anupam Sharma in an alleged robbery case last week, the party is all set to take action against him, an official said here on Monday. Sharma, who is also a member of the All India Committee Congress (AICC), was arrested along with three policemen after they allegedly hatched a conspiracy and robbed a bag containing Rs 1 crore for the election purpose. State Congress President Pritam Singh said: "The AICC will take action (against Sharma) and his membership will automatically be finished." Singh suggested that Sharma would also be removed from other party posts in the state. Sharma is also the treasurer of the state Congress. However, Singh did not give any timeframe for the action. Sharma, Sub Inspector Dinesh Negi, constable Manoj Adhikari and police driver Himanshu Upadhyay were arrested on April 16 and sent to jail on different charges including robbing property dealer Anurodh Panwar, who was carrying the "black bag" allegedly containing the money on April 4 when the incident took place. Panwar had initially told the investigating police officials that the money was meant for the April 11 election held in Uttarakhand. Top police officials said all the three policemen are likely to be dismissed from service as the case brought shame to the department. Meanwhile, state Bharatiya Janata Party President Ajay Bhatt has questioned the Congress' silence over the incident. "Congress is silent on such a big crime that has occurred in Dehradun city," said Bhatt.